A strong 24-member Indian contingent did not just fail to make it to the podium but everyone lost in the initials rounds of their respective weight categories. 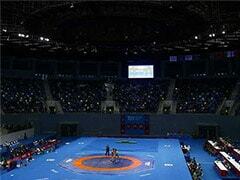 Bajrang Punia lost 3-8 to his Turkish rival Mustafa Kaya in the repechage bout. India ended their campaign at the World Wrestling Championships without a single medal after Bajrang Punia lost his repechage round in men's 65kg freestyle on the final day of the competition. 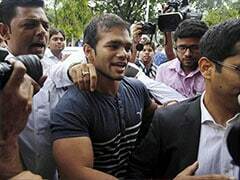 Incidentally, this is the second successive World Championship that Indian grapplers have returned empty-handed. The contingent also drew a blank at previous edition in Budapest, last year. Despite losing in the Round of 16, Bajrang had a golden opportunity to make it to the bronze medal play-off round but he blew away the opportunity. There were high expectations from the recently-crowed Asian champion but Bajrang failed to match his Turkish rival Mustafa Kaya in the repechage bout, losing 3-8 as India's campaign turned out to be their worst in recent times. A strong 24-member Indian contingent did not just fail to make it to the podium but everyone lost in the initials rounds of their respective weight categories. None of the wrestlers could win two consecutive bouts in the main round. Even those who got fortunate to get a repechage, owing to their opponents' performances, none of them could take advantage of it. No Indian reached the bronze-medal play-offs during the prestigious tournament. 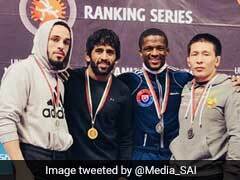 Out of four Indians in the fray on Saturday, three cleared their qualification round except Amit Dhankar (70kg), who lost to Akzhurek Tanatarov of Kazakhstan 2-9. Bajrang, Praveen Rana (74kg) and Satywart Kadian (97kg) started off well by winning their respective qualification round bouts to advance to the next stage. However, all of them lost in the pre-quarterfinals. Bajrang narrowly went down to Zurabi Iakobishvili of Georgia 5-6, while Rana was blanked 0-5 by Jabrayil Hasanov of Azerbaijan and Kadian lost 0-5 to Armenia's Georgii Ketoyev. But Bajrang got lucky to get a repechage after his Georgian opponent made the gold-medal round of 65kg.